Eid Nawafleh holds several positions; the Managing Director of Jordan Tours & Travel, Jordan Production Film Services (offering film, video & photo shoot services), Petra Kitchen & Made in Jordan Gallery Gift Shop. Believing that he must keep up with technology and the demands of his customers, “My customers want a quick response, they are using their smart phones,” commented Nawafleh when asked what’s his current project. Providing a service that is up to date, and providing what he believes is the future of tourism, he is moving with the times and getting one step ahead. Hotelspro.com proudly provides extensive travel products, top-notch solutions, and attentive customer support. Nawafleh travels to the main travel trade shows and film industry fairs, he has become a member of several associations; USTOA (United States Tour Operators Association), ASTA (American Society of Travel Agents), JSTTA (Jordan Society of Tourism & Travel Agents), ATTA (Adventure Travel Trade Association), JTB (Jordan Tourism Board) and JITOA (Jordan Inbound Tour Operators Association). In 2015 Nawafleh is the General Secretary and Media Spokesperson of JITOA. “I want to participate, to be active for Jordan’s tourism, to assist my country to be on the tourism map, especially now, with Petra as one of the great Wonders of the World,” in a statement about his work. 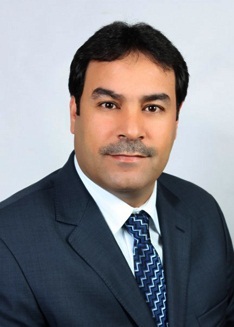 In the last year or two he has opened his office in Amman and built it up to earn the respected reputation of Jordan’s top hotels, regularly receiving an award as a top producer. Since 2004 Nawafleh has been promoting Jordan to the American market. Starting with attending the Tourism Destination Management Course at the George Washington University, USA, to enhance his tourism knowledge, he established a good networking base. Year after year he builds on his contacts and services. Pursuing his passion of the MICE (meetings, incentive, conference and exhibitions) industry, he joined SITE, a prestigious association. Nawafleh is owner of Petra Kitchen, Jordan’s first customer orientated restaurant, where the clients cook alongside local women and a professional chef. As well as owner of Made in Jordan Gallery Gift Shop, where local handicrafts are sold for the benefit of those that made them. His also founder of Petra by Night, the romantically candle lit Siq leads to the famous Petra Treasury that is flood-lit with candles and then brought to life with the sensual music of local instruments. Eid is originally a Petra Bedouin, from a very large family who have their own village in the immediate area. He was educated in Wadi Musa, going to and from school on his own donkey. He studied film direction in Amman, during which time he directed an amateur film of the local Bedouin community’s interaction with Western society. He also worked producing adverts and propaganda. Most of the Nawafleh family is involved in tourism by some way or another; however it was Eid’s desire to introduce a new aspect of tourism to the region and specialized in film crews and news stations at the time of the Gulf war. This field led him to organizing these crews’ excursions throughout Jordan. He is the first in the family to open his own Tour Operator Company. With an active imagination, Eid is always getting involved in new ideas and enthusiastic in organizing events where the local community benefits. In the years as a Tour Operator, Jordan Tours & Travel has organized incentives for Pharmaceutical companies, Microsoft, various industries and specialist fields. Eid does it different, he invites the locals to attend functions and integrate with the visitors, offering a unique cross cultural experience. Over a decade ago Eid introduced the concept of 5* camping in Wadi Rum, incorporating the Bedouin experience by training those interacting with Westerners to cater to their needs in a way that showed an authentic Bedouin lifestyle, finding the common ground between the two cultures. Jordan Tours & Travel does not cater to the budget traveler; they provide a professional and comprehensive service that does not stop while the customer sleeps. Offering tailor made packages to groups or individuals, the customer is the most valuable asset and there is no rest until their expectations are met. Murad Najib , 16 years experience in travel industry with many leading tour operators in Jordan. Murad in charge for sales and marketing, he join our company in Jul 2016. Aseel studied in the faculty of laboratory technicians, but she loves tourism then she had been working for 3 years in a travel agency as Reservation and Operation Executive and she recently became one of the Jordan tours & Travel stuff members in November 2013, as Reservation Executive. Having a great and lovely personality and a wide experience in the tourism industry, Aseel helps us to cooperate with all our suppliers to get what our clients need. has been working with tourists since 1994, catering to the camping experience all over Jordan. His know-how began with the outside catering for Petra Forum hotel, after serving in the Special Forces in one of the royal families in the Gulf, in both he got the training in security, survival and customer requirements, standing him in good stead to offer a complete service. Defaliah’s main job now is to set up the camp, make sure the catering is suitable to the guests, taking in any special dietary requirements, as well as some special occasions such as birthdays and anniversaries. He arranges the transportation to and from the camp, the trekking that will take place and any entertainment that needs to be organized. He is sure that the camp is removed, leaving nothing behind. His local upbringing has put him in an enviable position of both knowing the terrain and knowing the people he will come across. His favorite place is to be in the desert, especially Azrak, Wadi Rum or Wadi Araba, where he can ride horses and camels and drive for the adventure. Noor has a great experience in the tourism sector and she joined the Jordan Tours & Travel team in 2010 as a Reservations & Operations Executive. She is a determined person with good problem-solving skills as well as a high control of the management and the organization of the Department she in charge of. Nabeela has been working in the tourism field for four years now. She started her career in this sector, working at the Oscar hotel as a receptionist and becoming part of the Jordan Tours staff in May 2011, where she currently works as an experienced Accountant. Nabeela scrupulously takes care of every single detail, as she is required to do due to position she occupies. Mohammad started his work in tourism through horse guiding and became interested in photography as a hobby. This lead to an interest in the movie aspect of tourism, taking his lead from Eid he became famous for setting up the logistics of movie setups, earning his nickname ‘Gabah’, meaning ‘swiftly’, working efficiently to have the quickest camp arrangement. He enjoys the demanding role that is required in this specialty. Gabah’s role in Jordan Tours is Tour Manager, providing the specific needs of the various groups that come to visit Jordan. He enjoys creating new camping themes, offering a more unique event, from the 2 stars to a better than five star experience. He feels he has learnt a lot from the tourists, not only languages. Ilaria has been working in the travel industry since 1998 previously as a Service Director for United Airlines in Dublin – Ireland and now as a Sales and Marketing manager for Jordan Tours & Travel. With years of experience and languages qualifications she is considered a great asset for the company and strive to give the best costumer service always exceeding our customers expectations. in Jordan they are usually freelance, offering a variety of languages and familiar with the cultural characteristics of each nationality through both experience and visits to the various countries. Our reps are professional and punctual, with a thorough knowledge of their specialty, such as adventure, culture, incentive, etc. We conduct six-monthly workshops to upgrade, retrain and provide customer feedback. We also arrange internal team building events to improve their understanding of their role in the tourist’s experience.